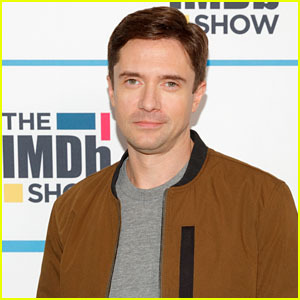 Topher Grace is joining the cast! The 40-year-old BlacKkKlansman actor is set to join the cast of the upcoming Jon Stewart-directed Irresistable, Deadline confirmed on Wednesday (April 10). Steve Carell, Rose Byrne, Chris Cooper and Mackenzie Davis were previously announced as part of the cast as well. Topher launched his new podcast Minor Adventures with Topher Grace earlier this month, and we caught up with the actor about his plans for the project. 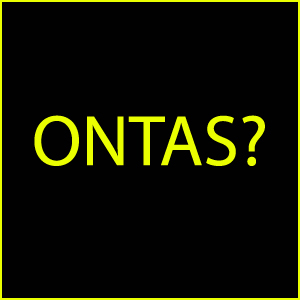 Read the interview! 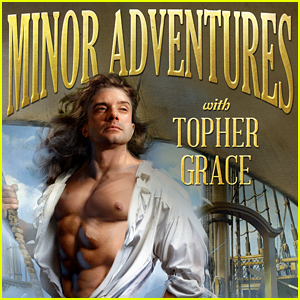 Topher Grace launched his new podcast Minor Adventures with Topher Grace last week and it’s one of the most enjoyable listens you’ll have these days! The 40-year-old actor’s podcast doesn’t feature standard interviews. Instead, he and executive producer Sim Sarna go on actual adventures with their celebrity guests each week. The guys tackle everything from taking a lie detector test to having a seance to learning how to beatbox… and each time their guest has absolutely no idea what’s in store for them! JUST JARED: What made you want to start a podcast in such a saturated market? TOPHER GRACE: It’s true, there are over 7.82 billion podcasts in the U.S. alone. But, ironically, I think there are only a handful that are good. I was promoting BlacKkKlansman on one of the good ones – ‘Unqualified’ with my friend Anna Faris – and we had a blast together. Afterwards her producer, Sim Sarna, asked me if I’d be interested in my own show and I said, “No. I’m too boring!” But he came up with an amazing format that allows me to go on these little adventures with our guest and not have to really be a host or anything. JJ: Where have you been recording your podcasts? TG: We record them at the Unqualified offices in Hollywood and it’s the most fun I’ve ever had! Some of these adventures are crazy, so we’ll have to black out the windows if we’re having a seance or bring in instruments if we’re writing a song. Laura Harrier wows in a red, plastic-knit mini-dress as she arrives at the 2019 Vanity Fair Oscar Party at the Wallis Annenberg Center for the Performing Arts on Sunday (February 24) in Beverly Hills, Calif. 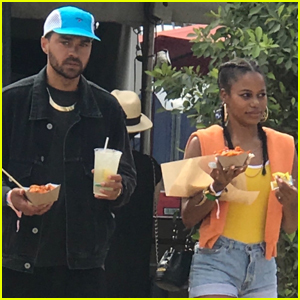 Joining the 28-year-old actress at the event were fellow actresses Tessa Thompson and KiKi Layne. 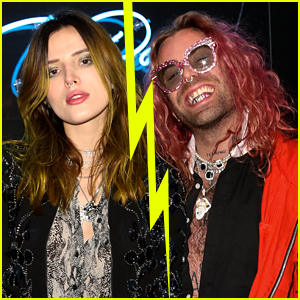 Other stars at the party included Laura‘s BlacKkKlansman co-star Topher Grace and his wife Ashley Hinshaw along with Tessa’s Sorry to Bother You co-stars Lakeith Stanfield and Steven Yeun. FYI: Laura‘s dress and bag are both by Louis Vuitton. KiKi is wearing an Atelier Versace dress, Stuart Weitzman shoes, and Atelier Swarovski jewelry. Tessa is wearing a Chanel Haute Couture dress and Robert Wun boots. Lakeith is wearing a Thom Browne look and Giuseppe Zanotti shoes. Steven is wearing Prada. Ashley is wearing a PatBO dress and H Stern jewelry.